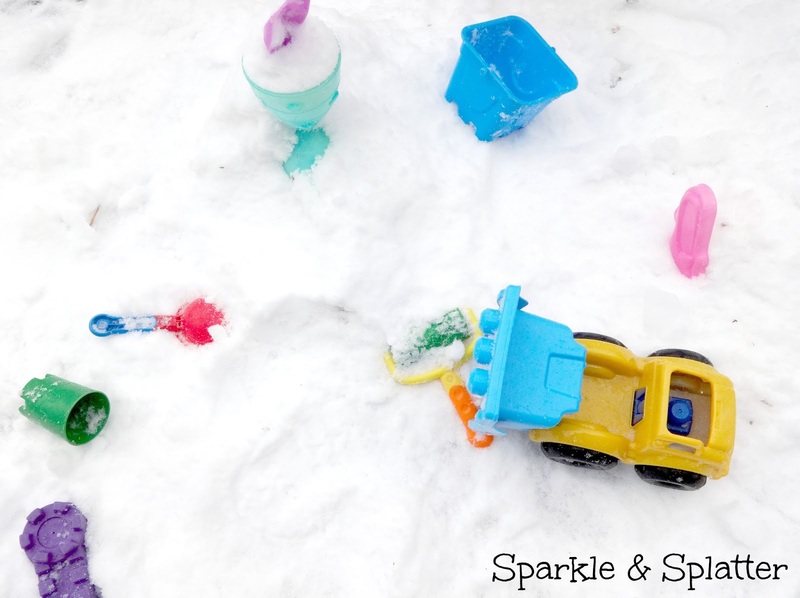 Sparkle and Splatter: A Day At Snow Beach! A Day At Snow Beach! Do you still have snow where you live? Even though it is officially spring, our landscape is still very much a winter wonderland. No worries! 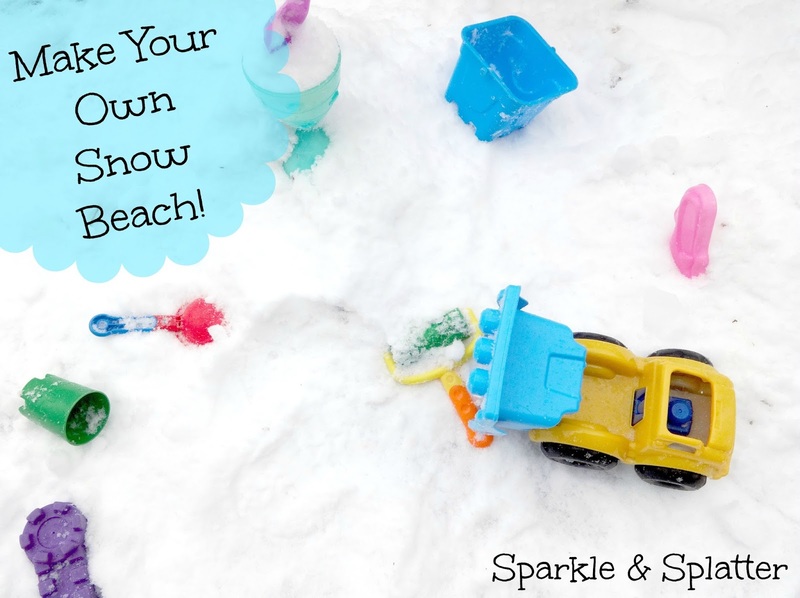 You can take the kids to the beach anyway...Snow Beach! 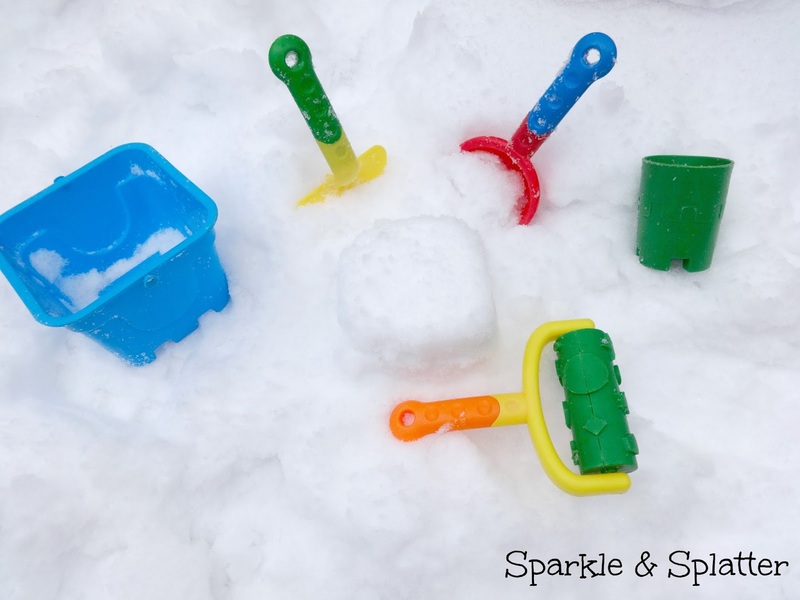 One of my dear friends gave me the idea to take the sand toys out in the snow and depending on what kind of snow you get (the wetter snow seems to stay together a little better), the toys are just as much fun as they are in the sun and sand! You could go all out like we did and wear sunglasses, lay a towel out, and sit in a beach chair. Or, just simply dump the sand things out in a pile and watch the creativity at work! Have a fun day at Snow Beach everyone! 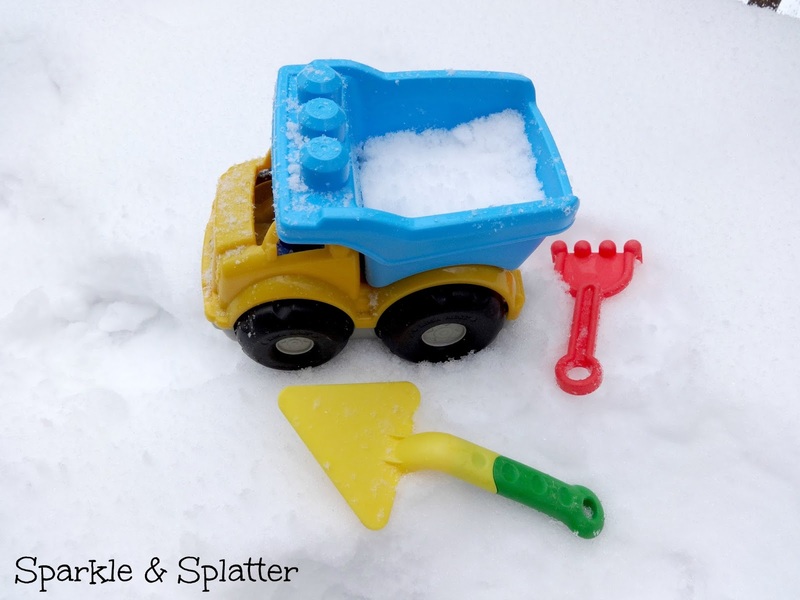 Follow Sparkle & Splatter on Facebook for more fun!